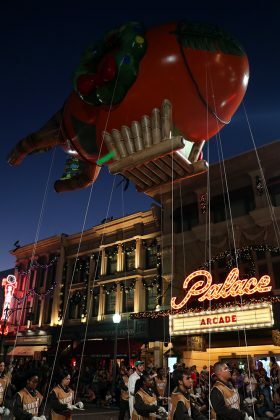 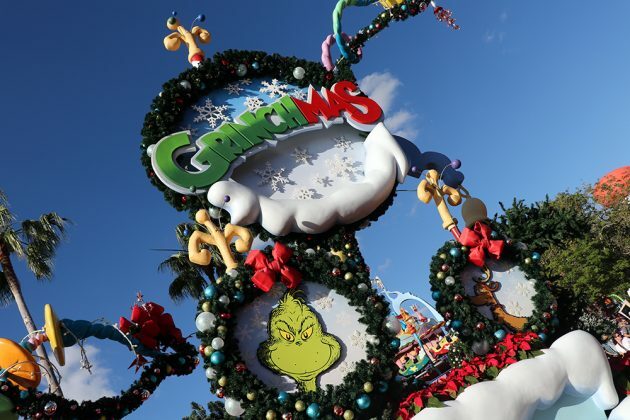 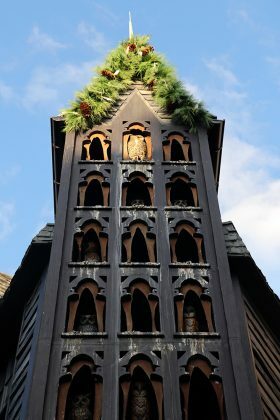 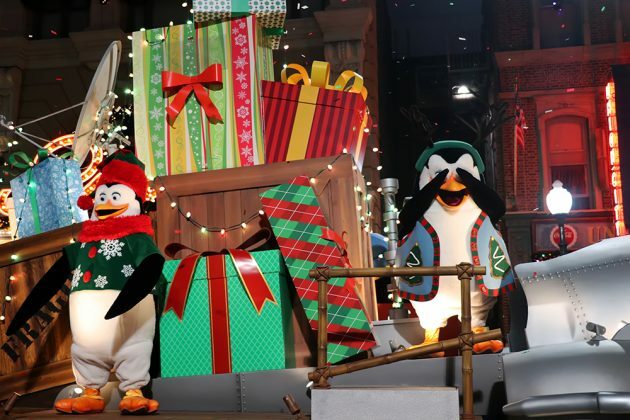 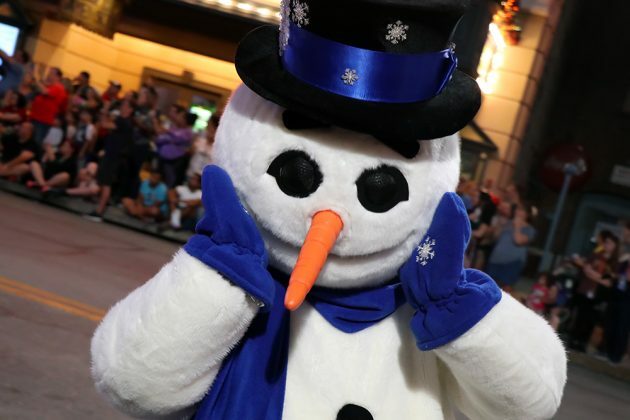 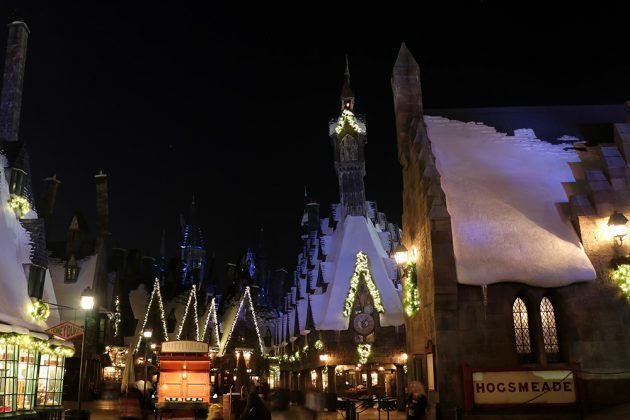 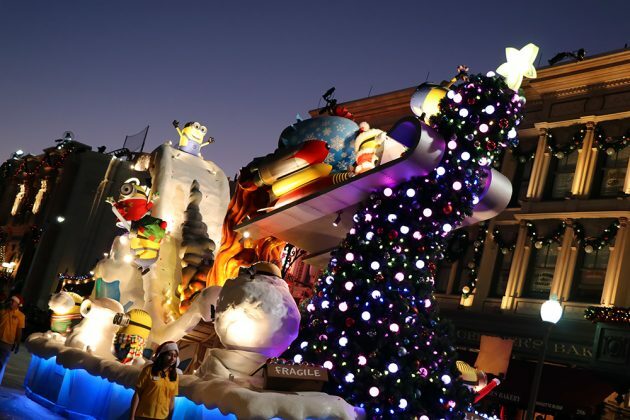 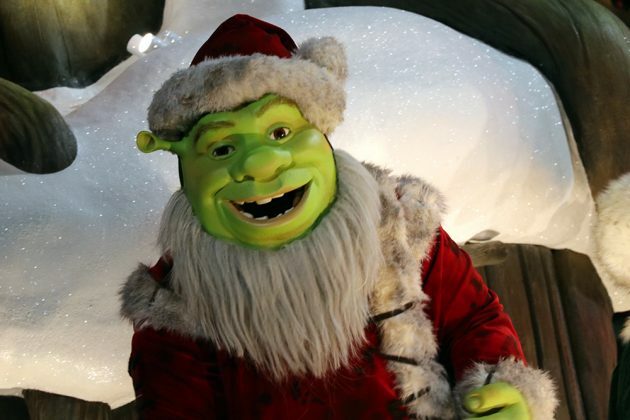 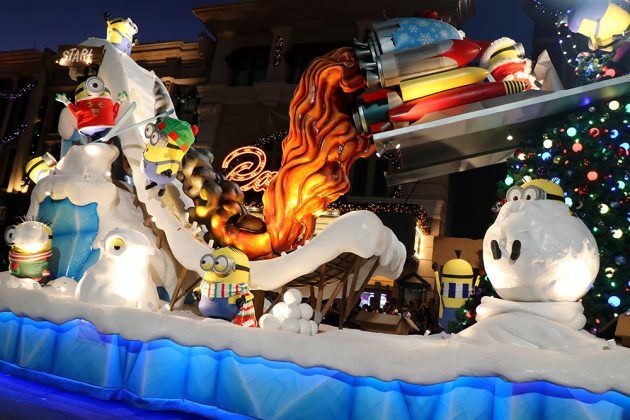 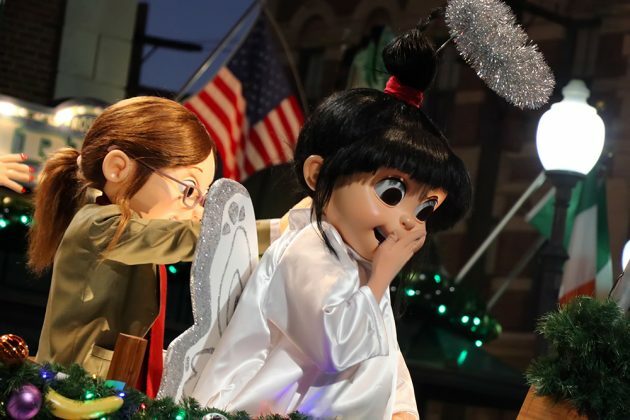 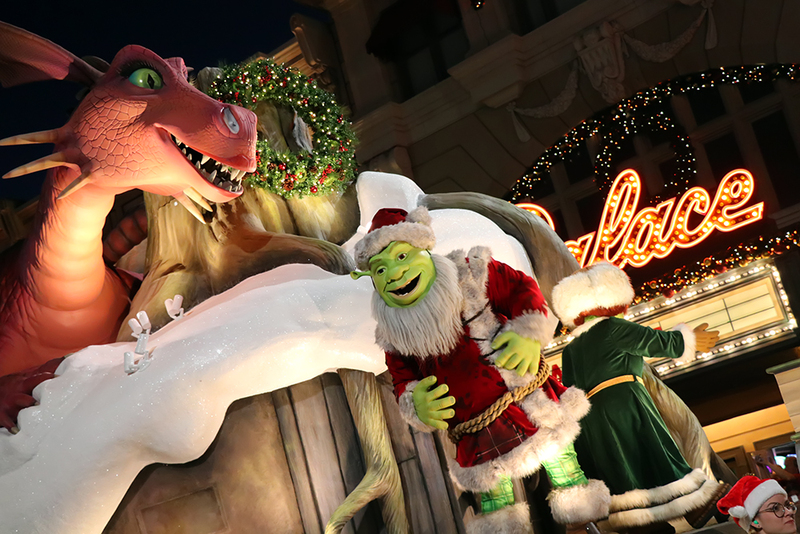 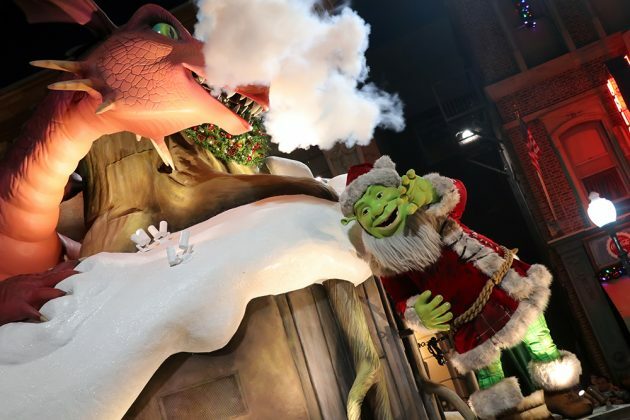 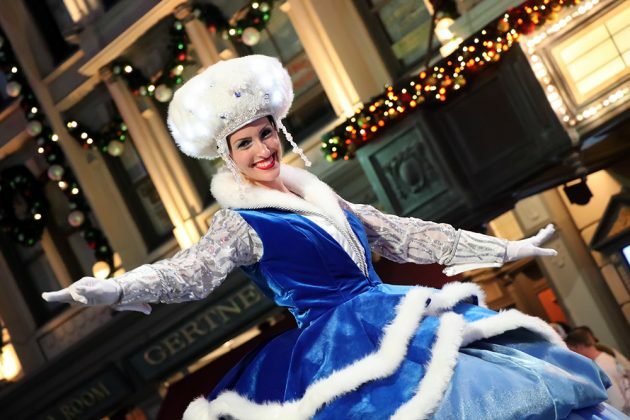 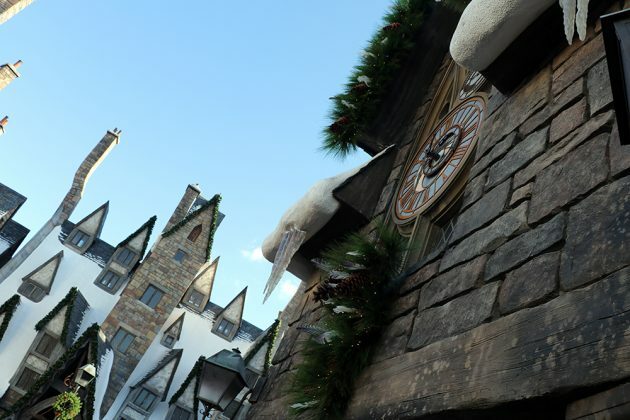 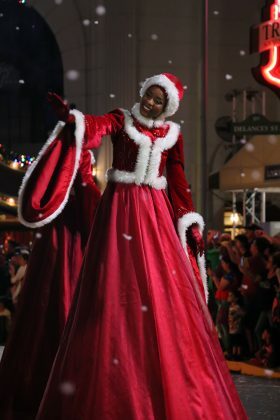 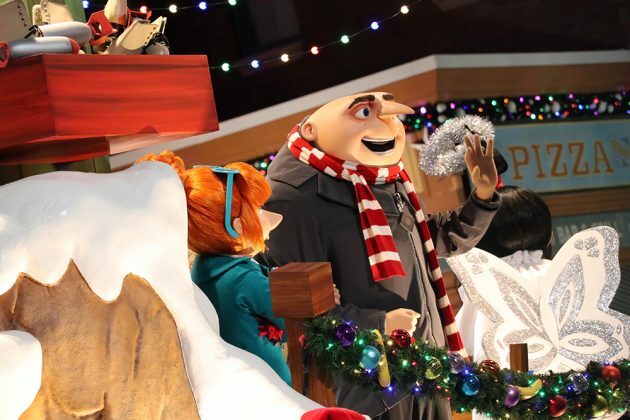 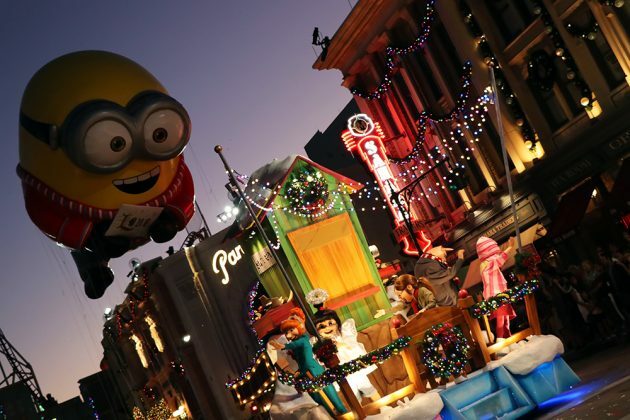 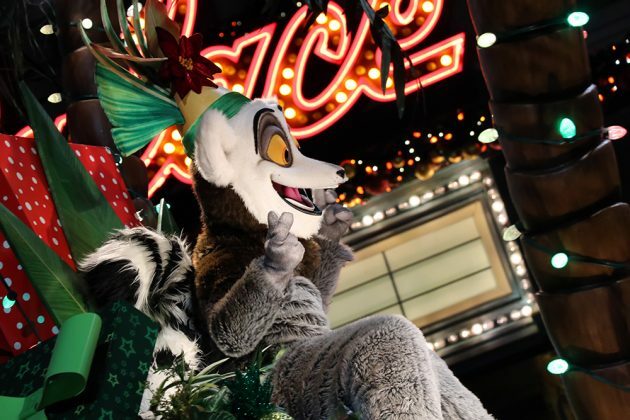 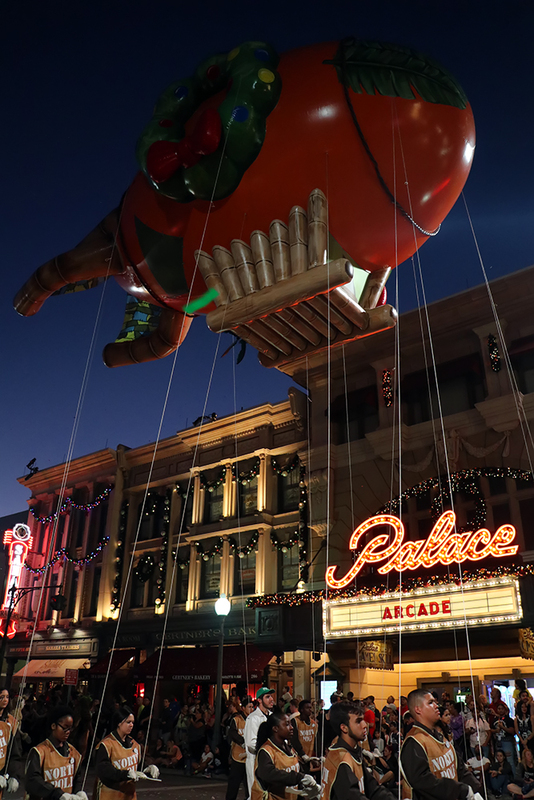 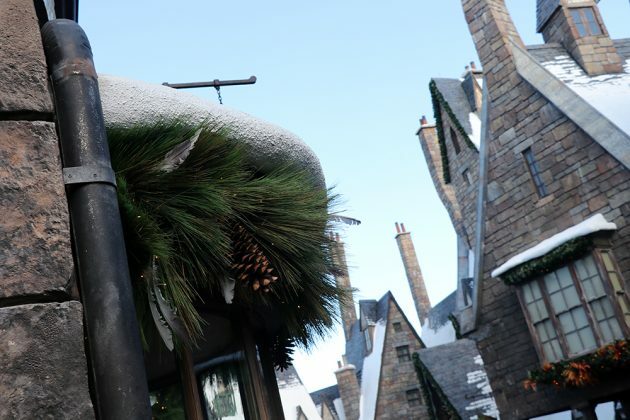 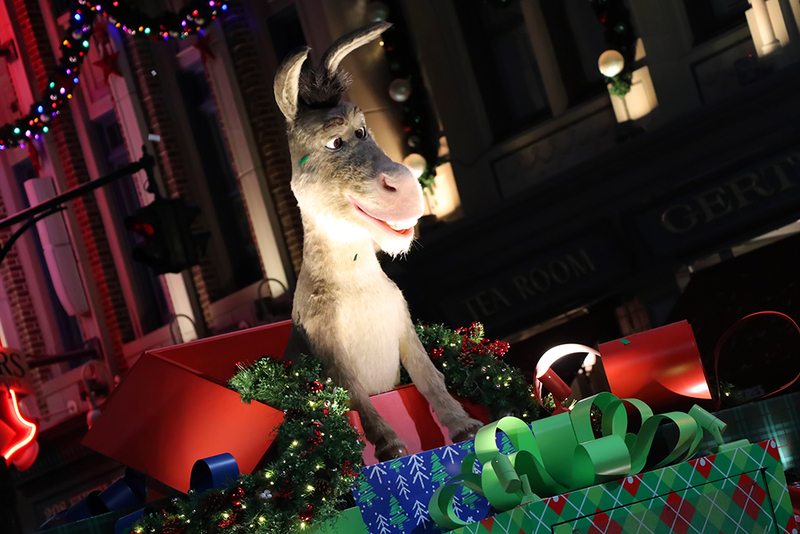 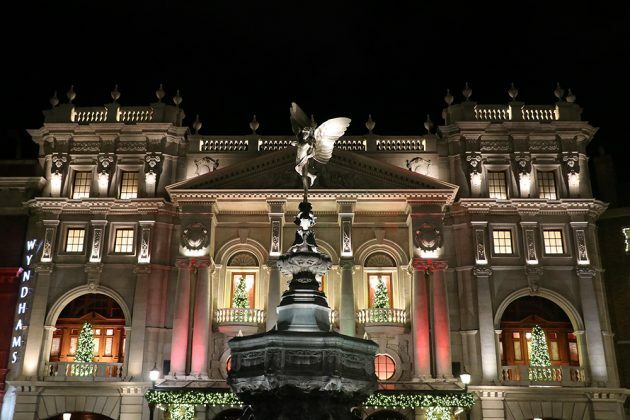 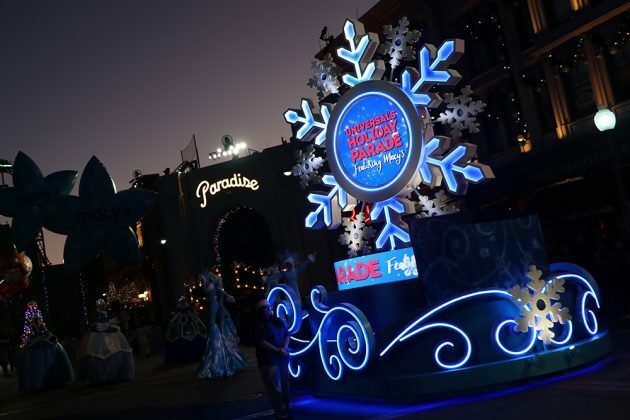 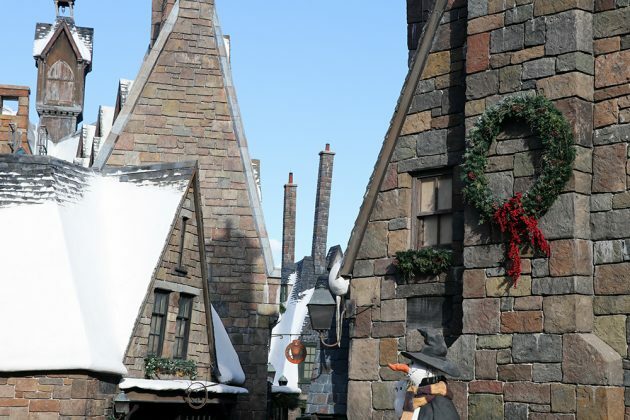 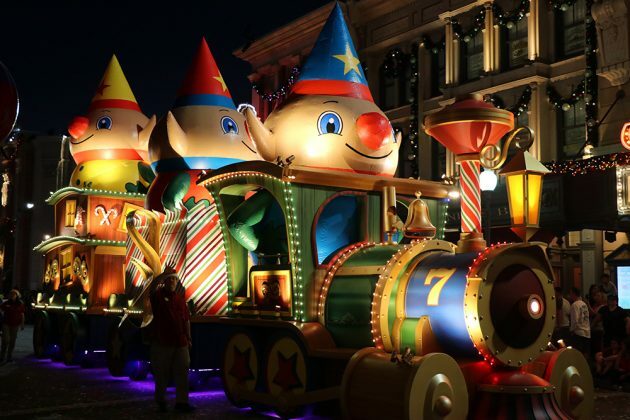 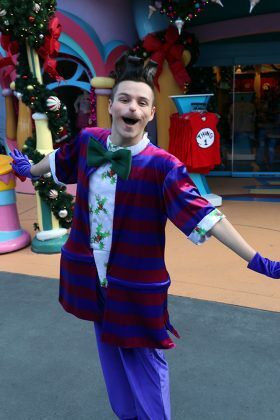 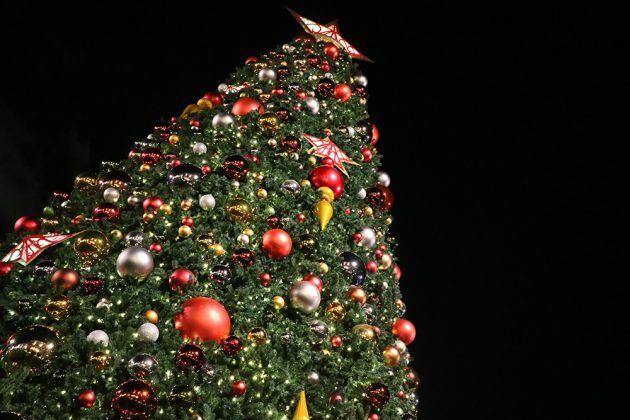 The Holidays are in full swing at Universal Orlando, with returning favorites such as Grinchmas and Mannheim Steamroller, to new additions like Christmas in the Wizarding World and Universal’s new Holiday Parade; the line-up is definitely an incredible offerings to help everyone get into the Christmas spirit around the resort. 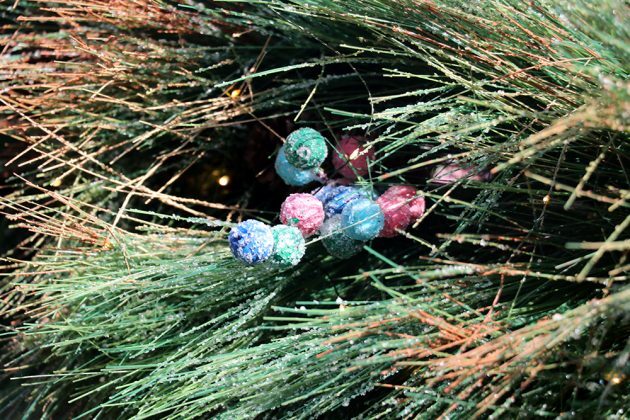 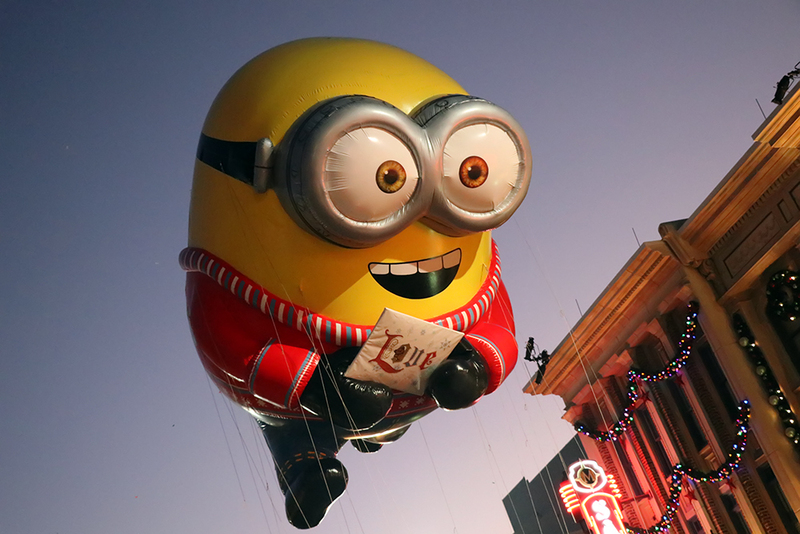 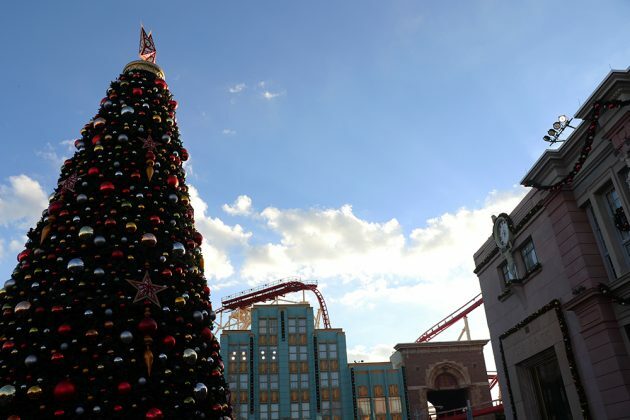 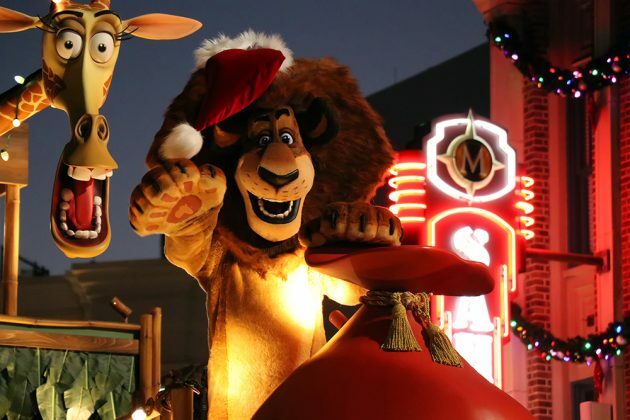 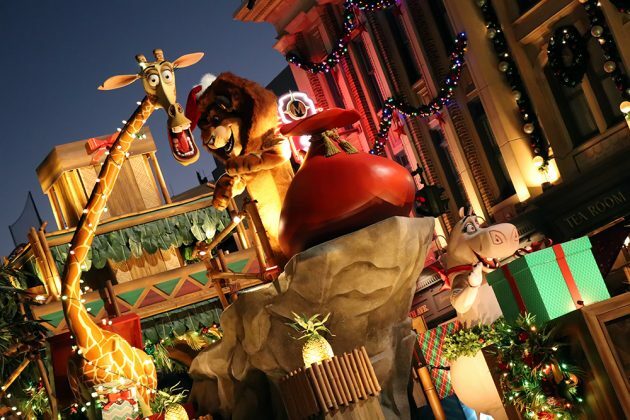 Before this year, Universal Orlando Resort’s Holidays offerings have always been adequate. 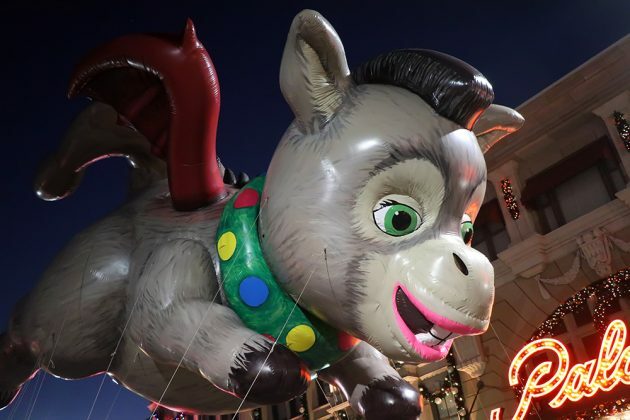 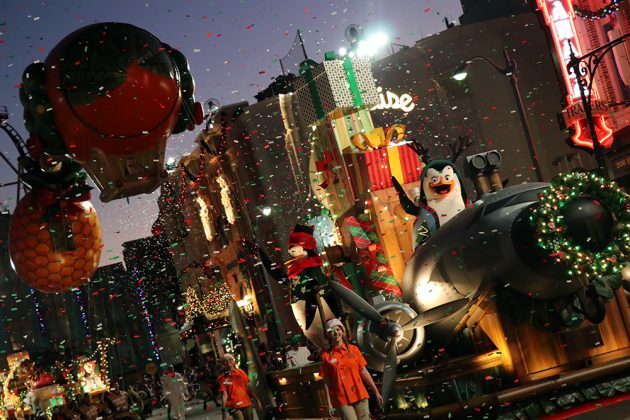 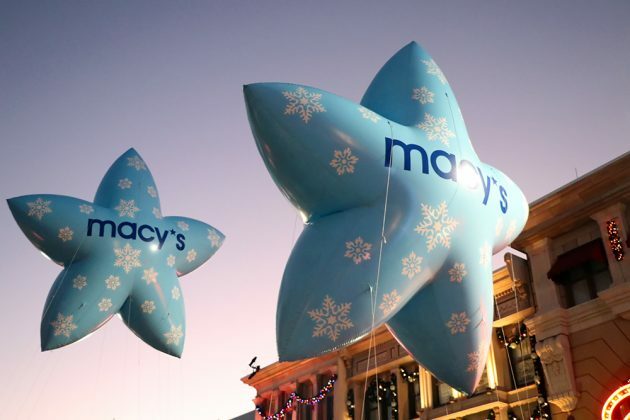 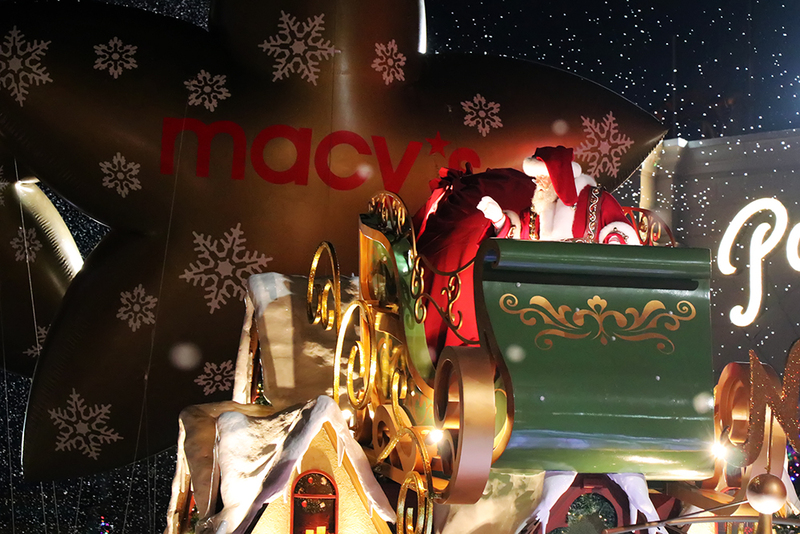 The Blues Brothers Christmas show and Grinchmas was always a treat for the Holiday season, but the Macy’s Parade began to grow a bit stale after so many years; and it never really felt like Christmas around the parks. 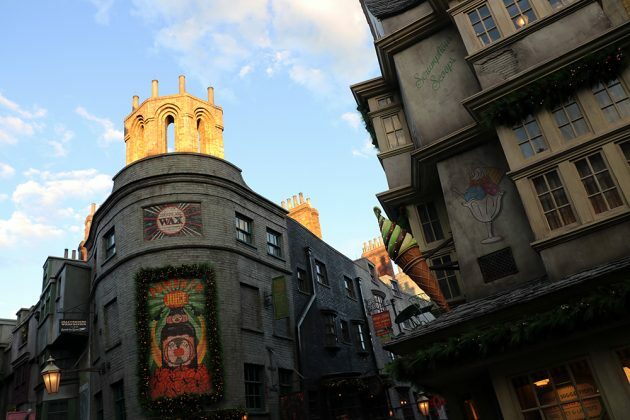 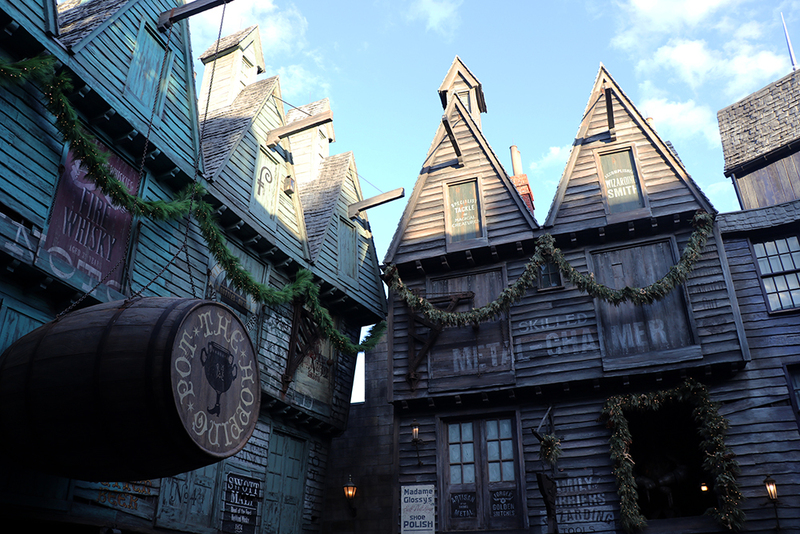 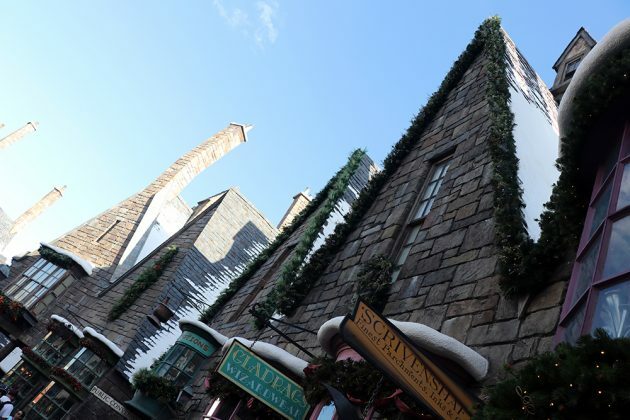 That has changed tremendously for the better with all the new decorations, especially inside the Wizarding Worlds of Diagon Alley and Hogsmeade. 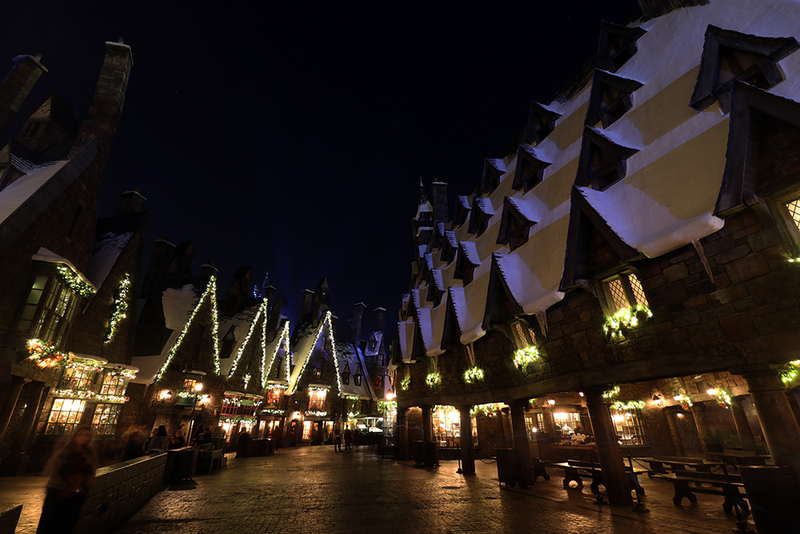 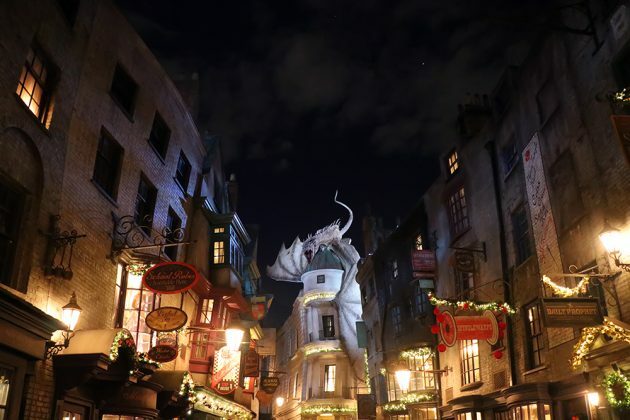 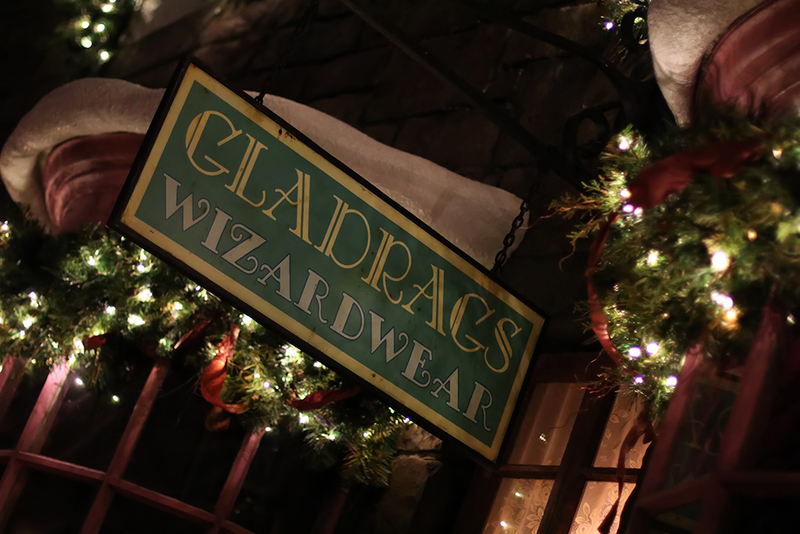 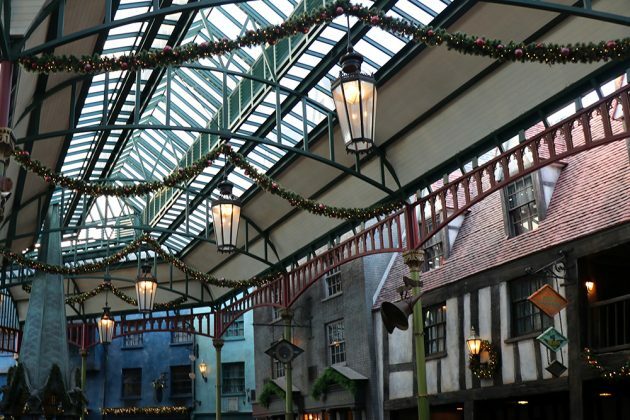 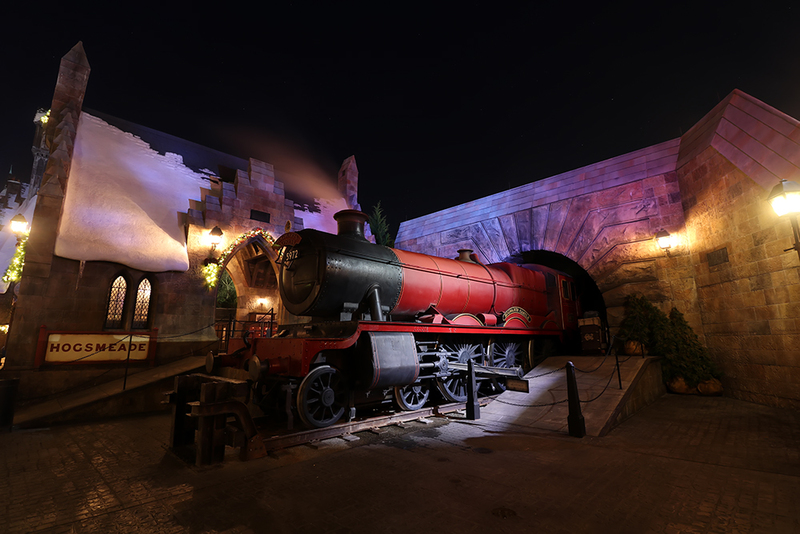 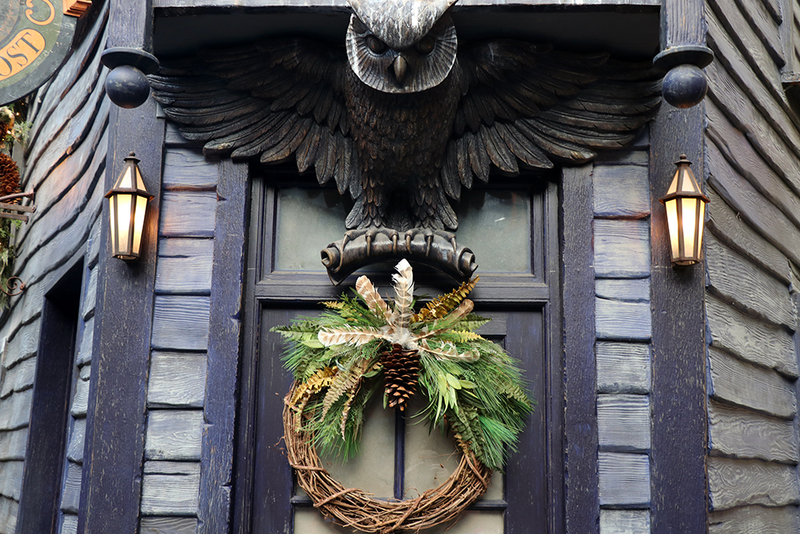 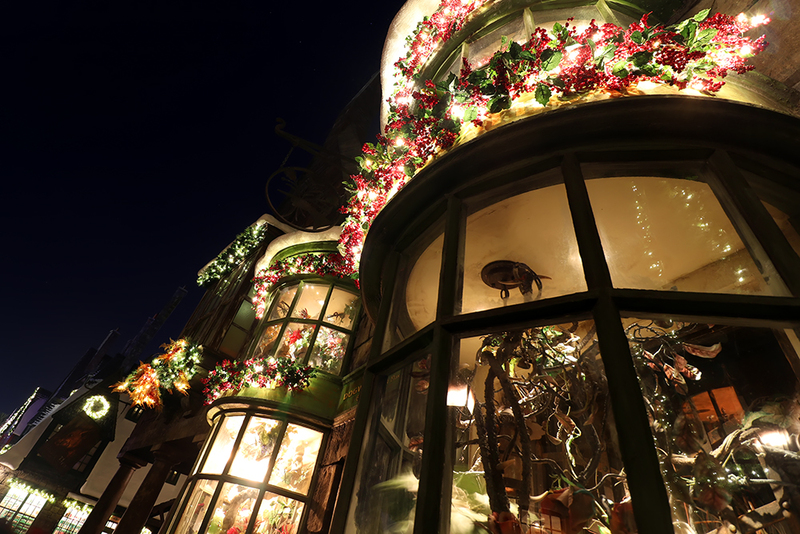 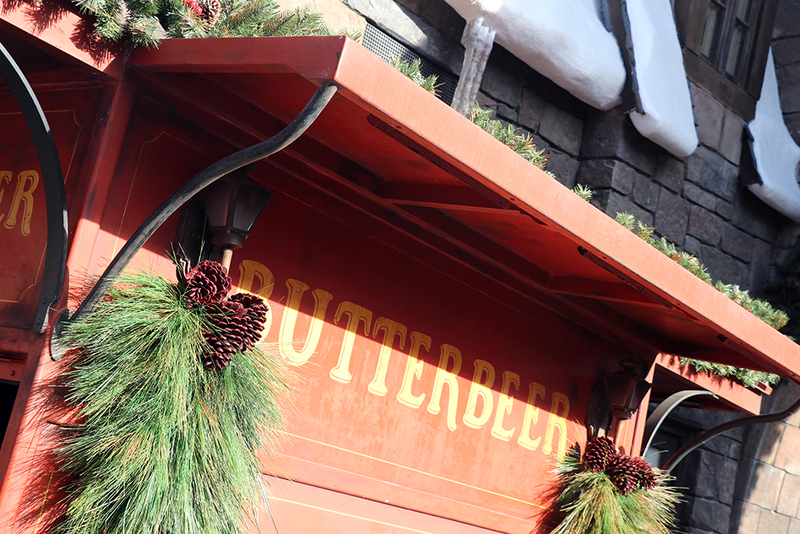 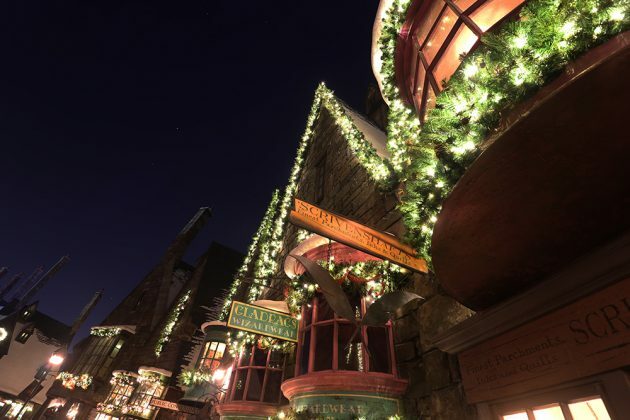 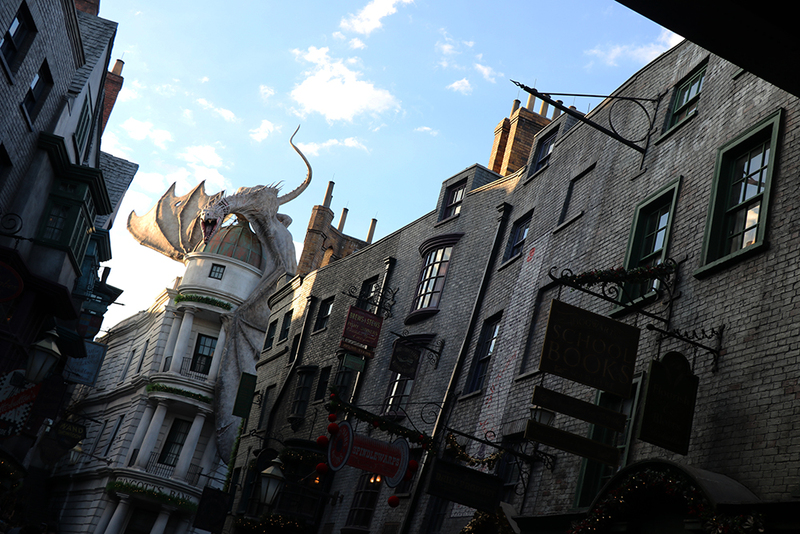 Diagon Alley’s decorations are whimsical and charming, but Hogsmeade’s decorations are elegantly done – and it really does transform the area, especially at night. 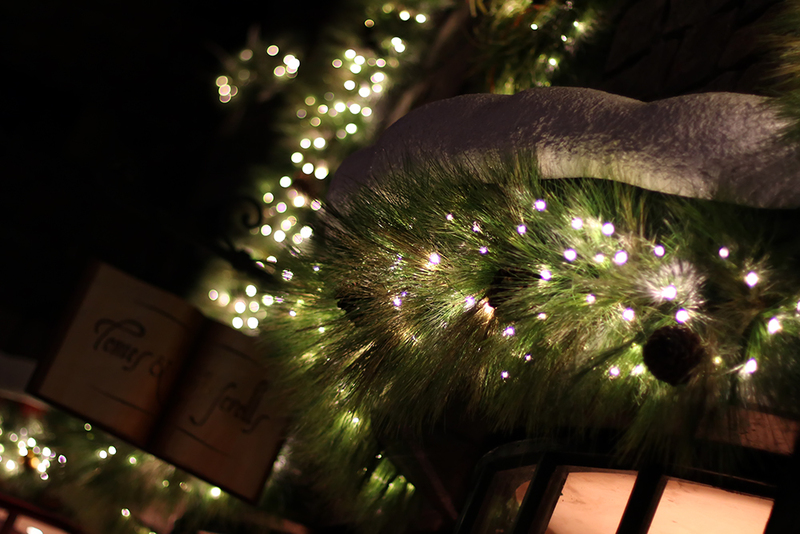 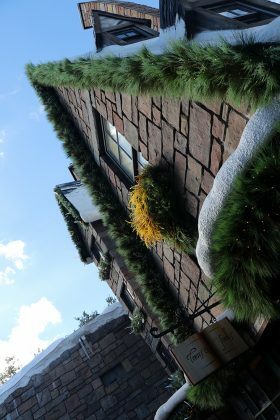 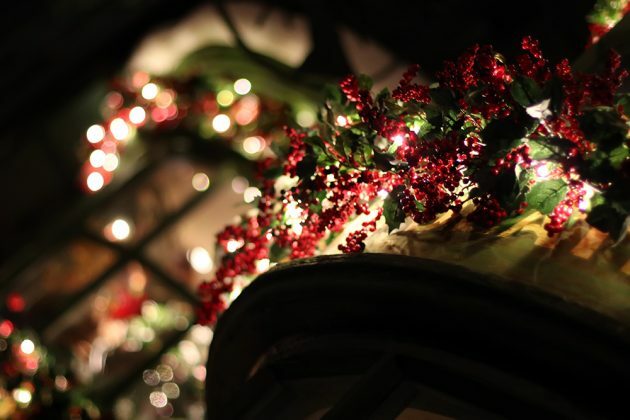 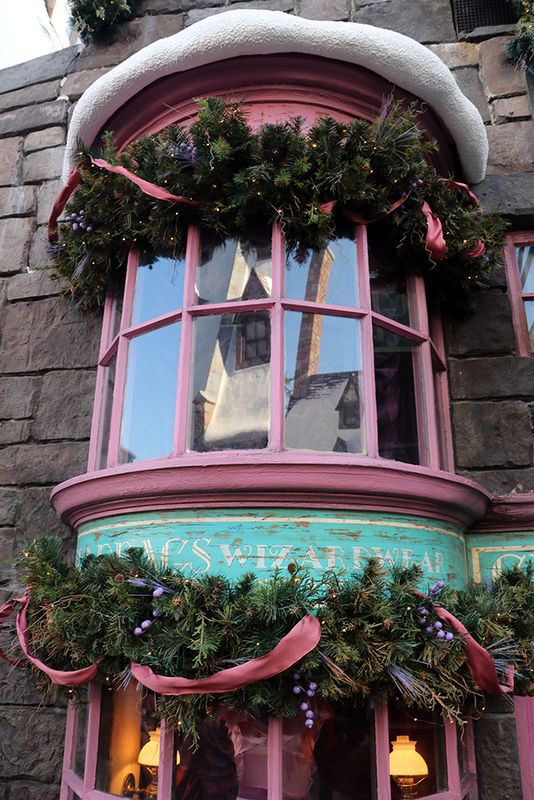 Walking through the first time at night, with all the wreaths and garlands lit up with it’s unique decorations themed from each store, as the new Magic of Christmas at Hogwarts was happening, gave me the same goosebumps that I got from when I first walked into the Wizarding World in 2010. 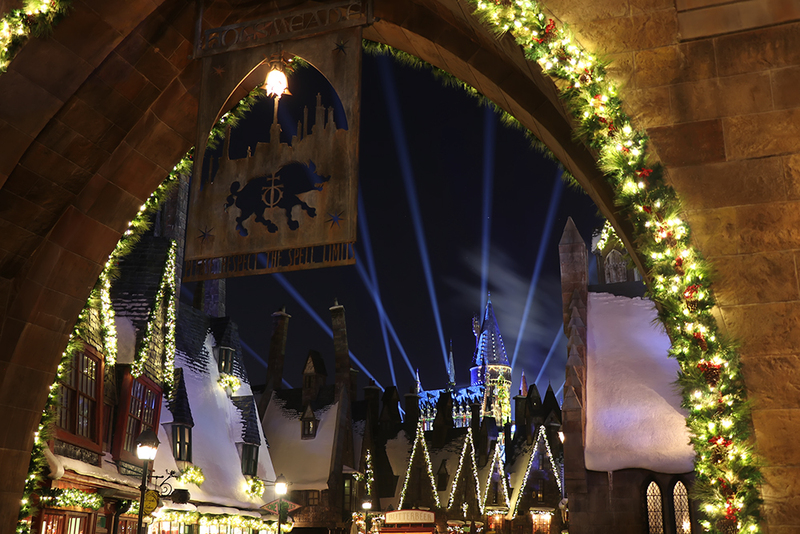 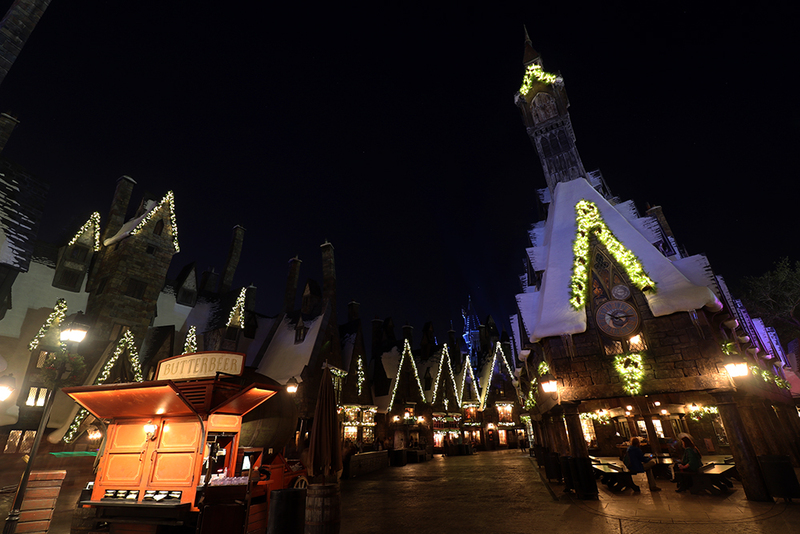 The star of the new Wizarding World offerings is the aforementioned Magic of Christmas at Hogwarts – the new nighttime projection show. Everything about this show is perfect. 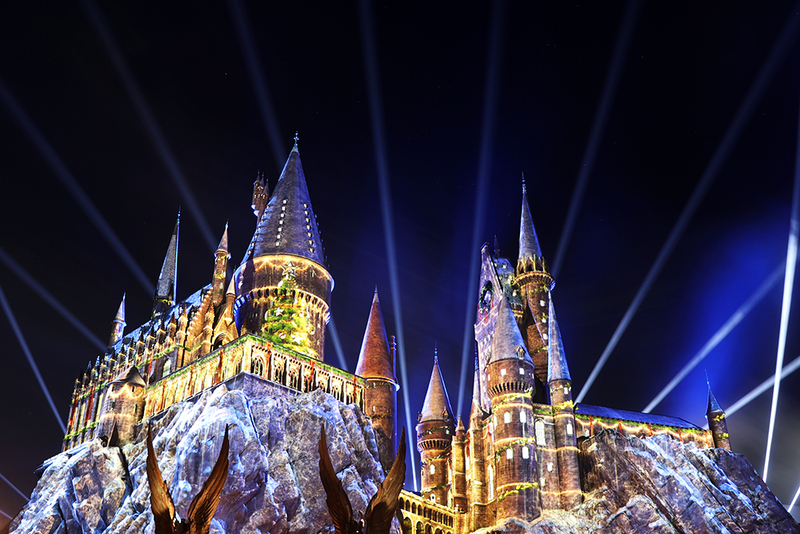 The projections, the lighting, the score; they are just executed flawlessly. 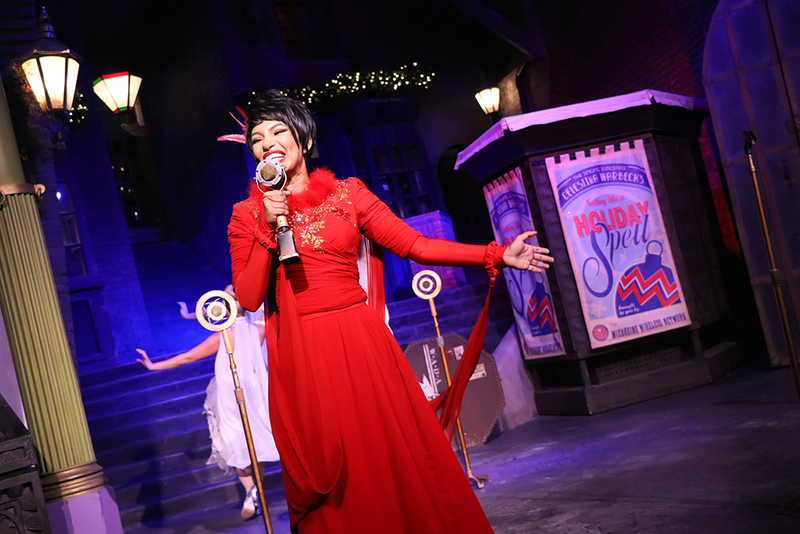 The show hits all the emotional notes you want in a Holiday show, but also as Harry Potter fan. 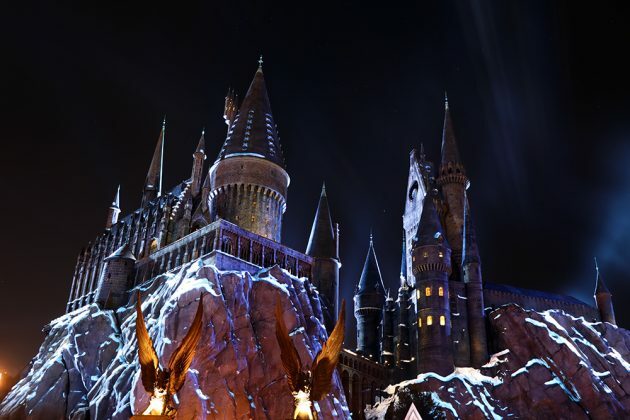 The use of the Hogwarts ghosts to start the show was also clever and appreciated, as they really got the shaft in the films. The returning Grinchmas is always a treat during the Christmas season. 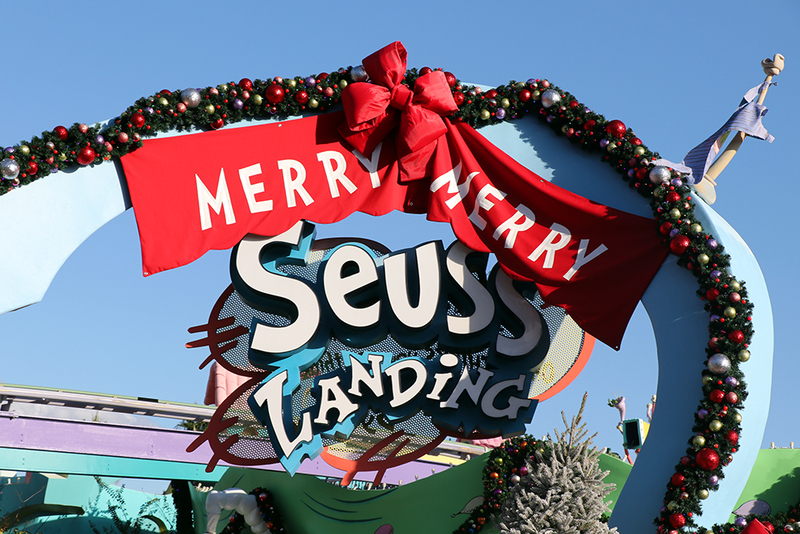 Seuss Landing really does transform into a fun, whimsical area during the Holidays, especially as the Whos greet and interact with guests. 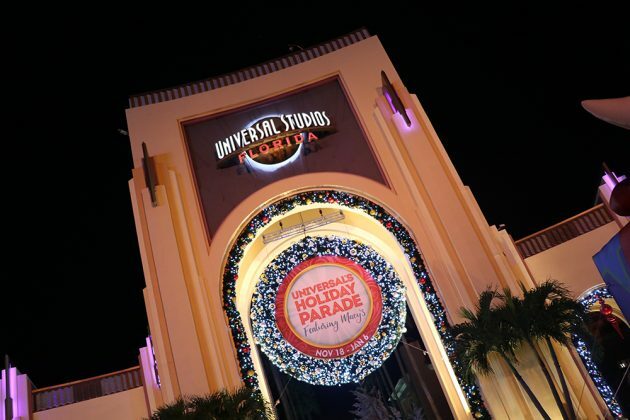 The show itself has become a tradition for Universal, and is definitely something you should make an effort to watch if you haven’t done so in the past. 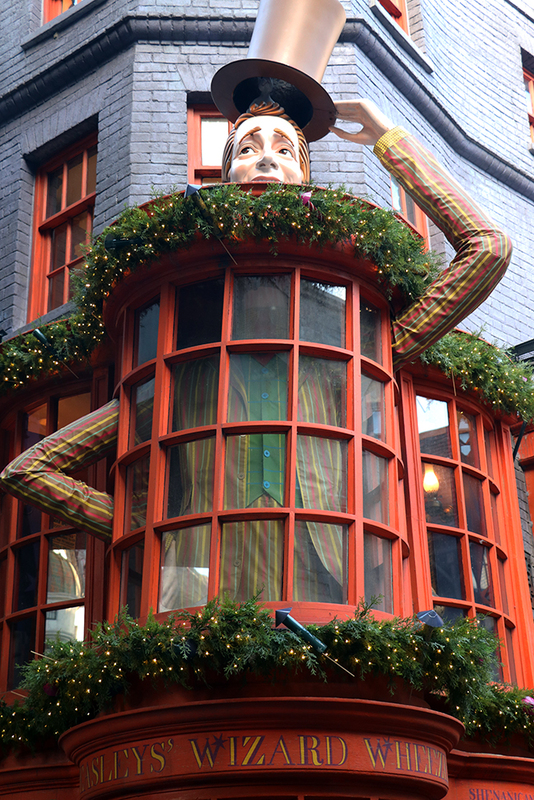 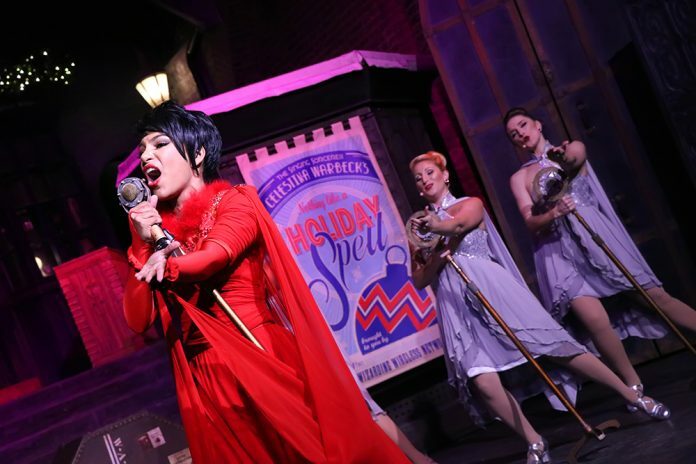 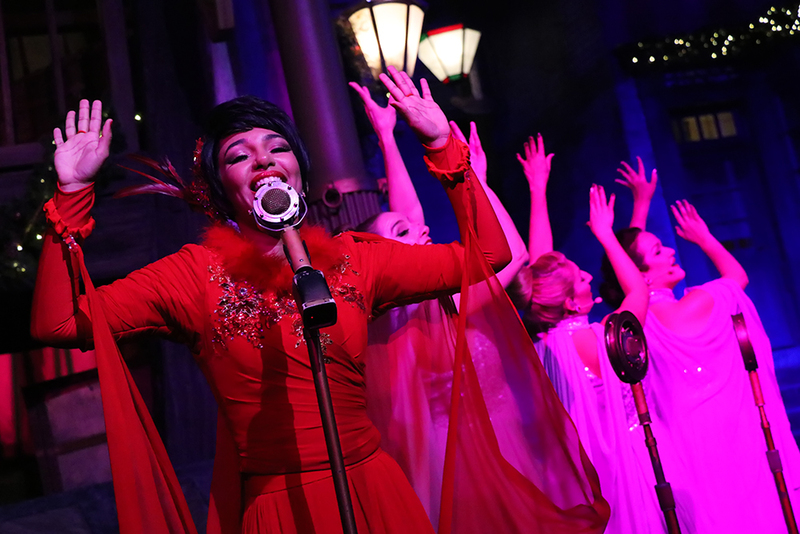 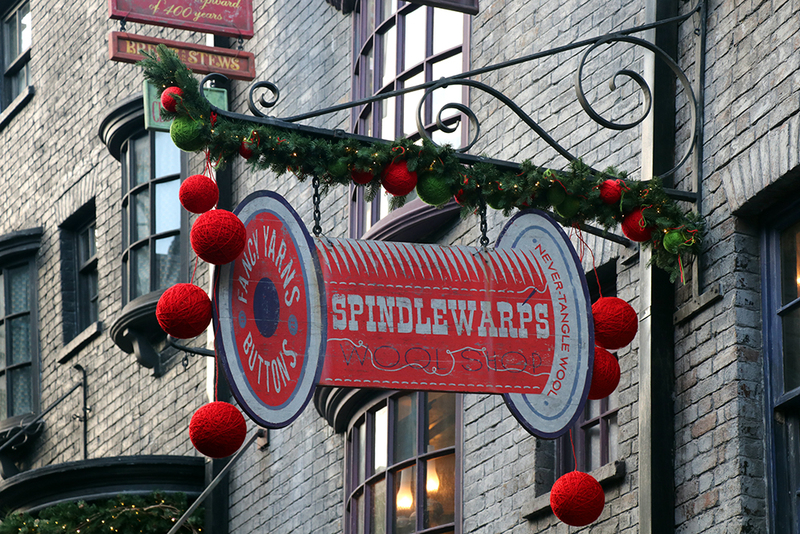 In Diagon Alley, Celestina Warbeck and her Banshees bring in the yule time cheer, with an another home run for the Christmas line-up. I’ve always enjoyed the show during it’s normal runs, but the Holiday songs are really damn catchy – specifically Accio Christmas. 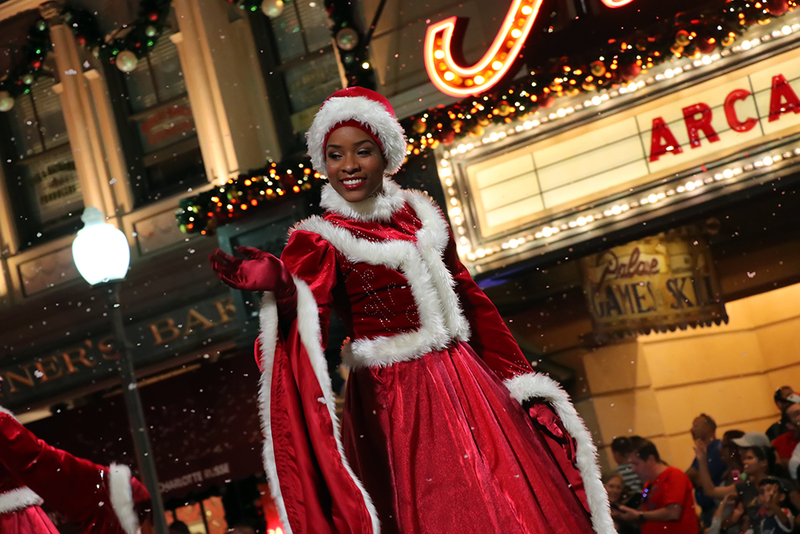 There’s a part during the performance when snow begins to fall on the crowd, and after seeing the show 3 times, it always got cheers from the audience. 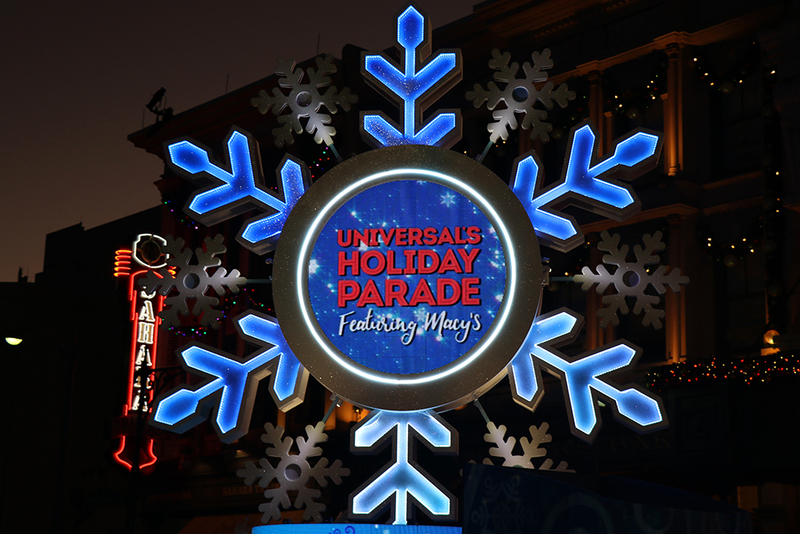 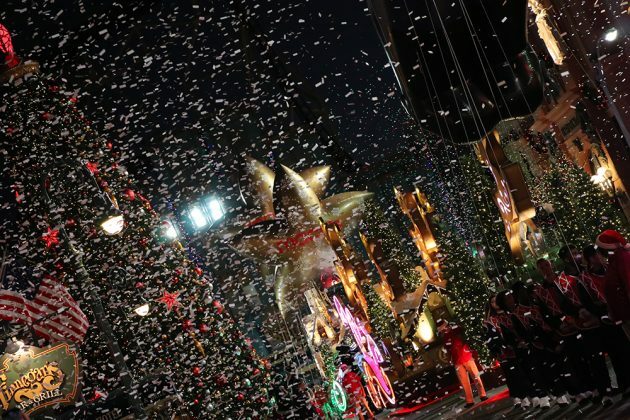 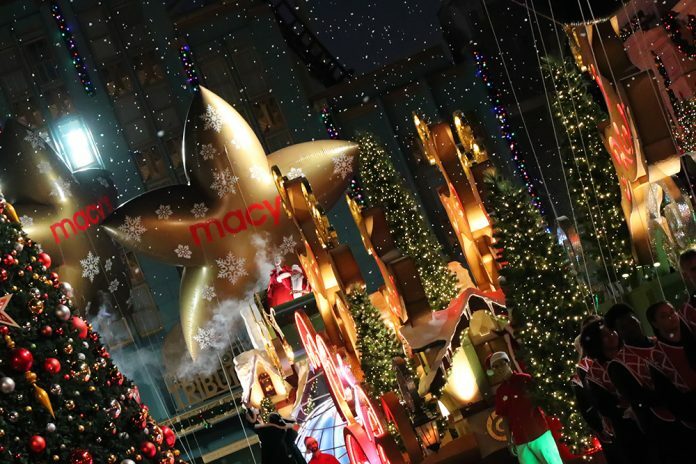 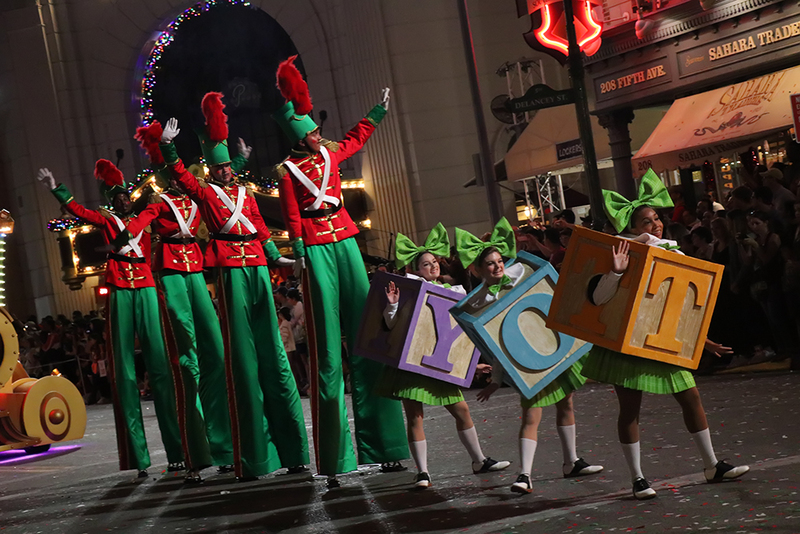 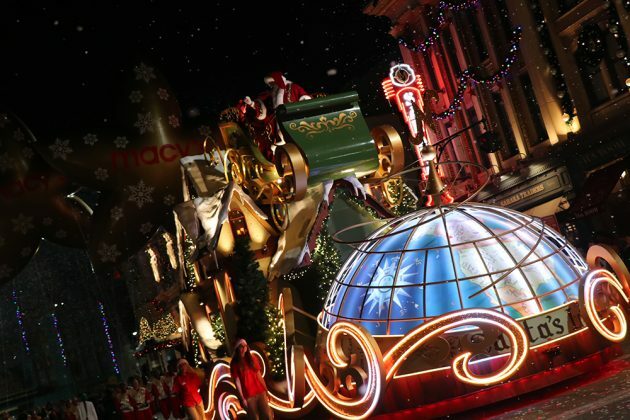 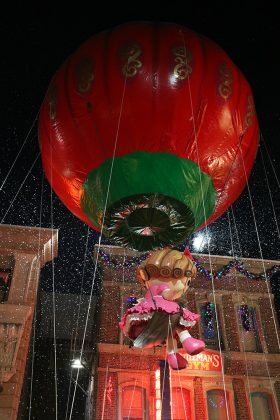 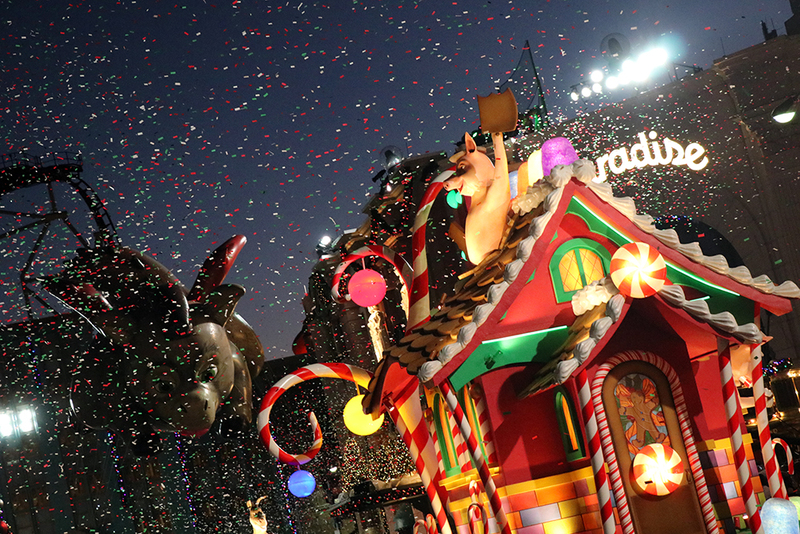 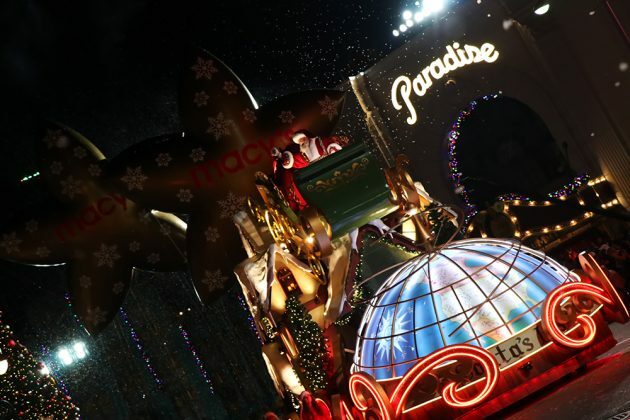 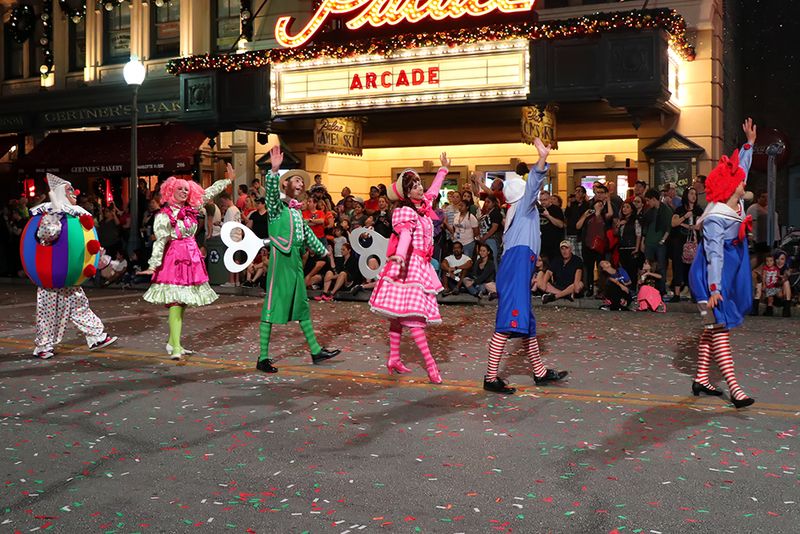 The last of the new additions is the totally revamped Universal’s Holiday Parade featuring Macy’s. 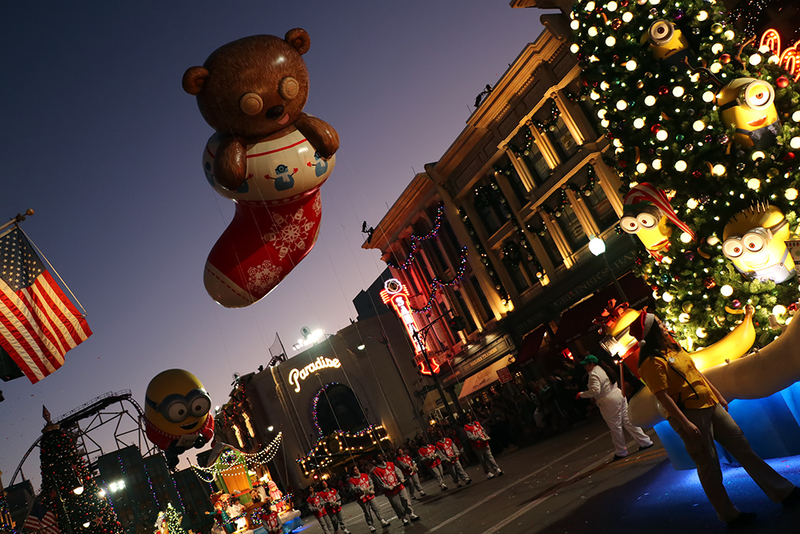 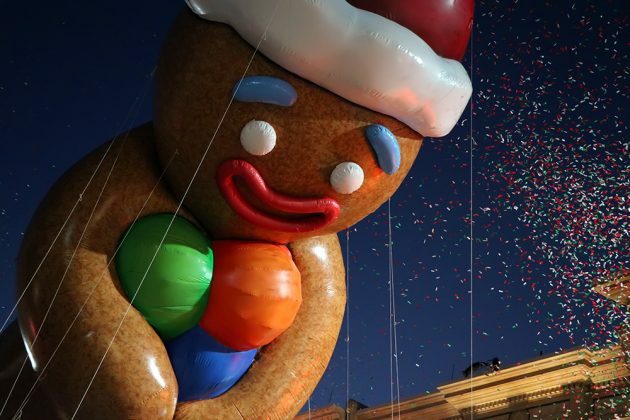 Gone are the Thanksgiving Parade leftovers, as they are now welcomely replaced by Minions, Penguins, and other DreamWorks characters. 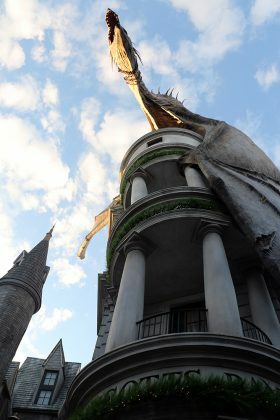 Universal really flexed their creative muscle here, as there were no guidelines or precedent set by existing film or book lore. 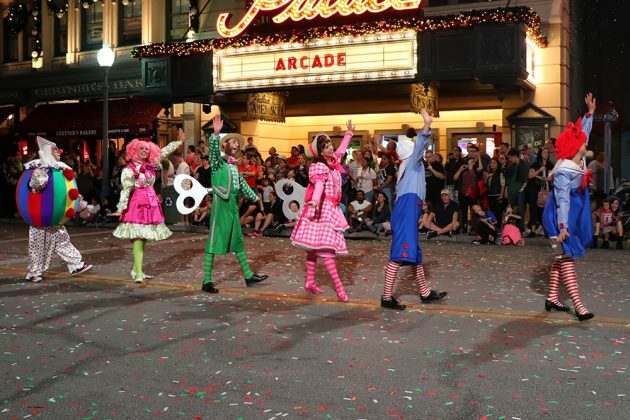 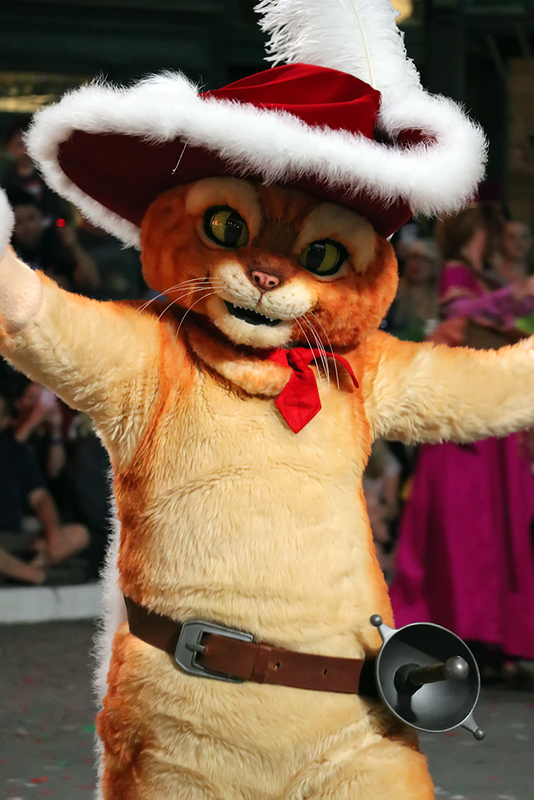 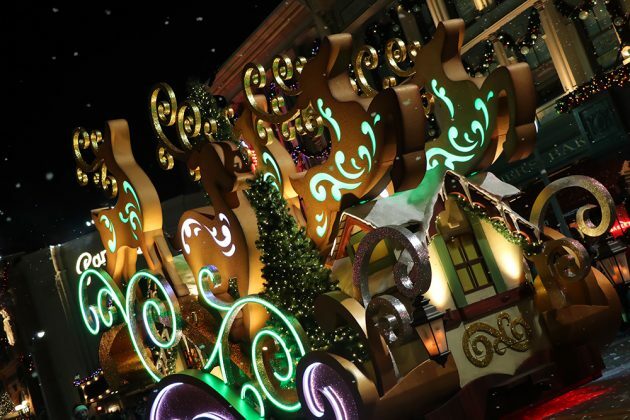 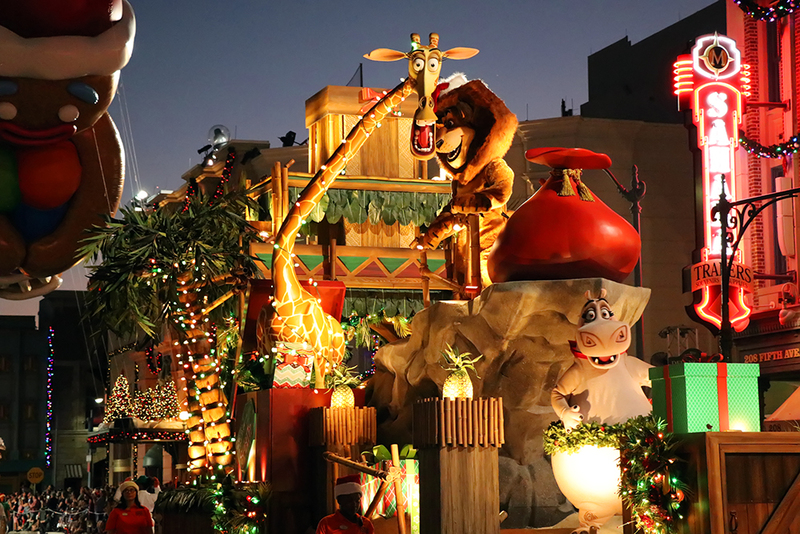 The floats are charming and well-themed for each property, giving each franchise a chance to shine during the parade. 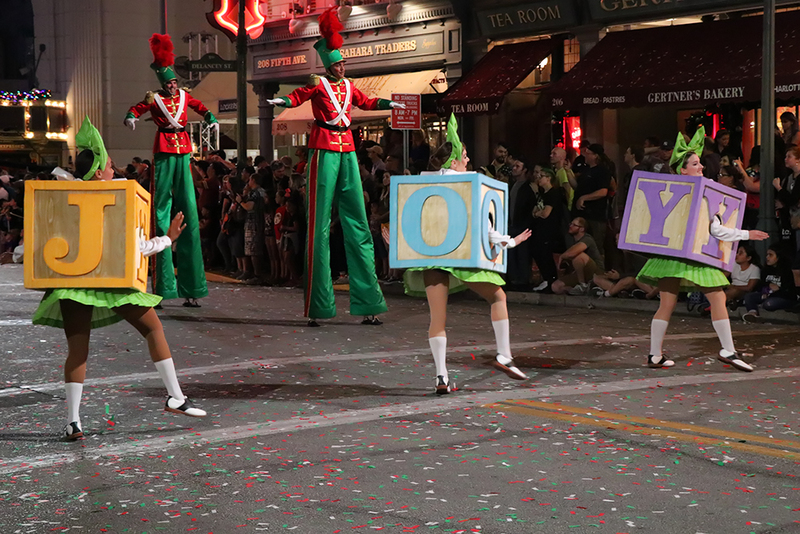 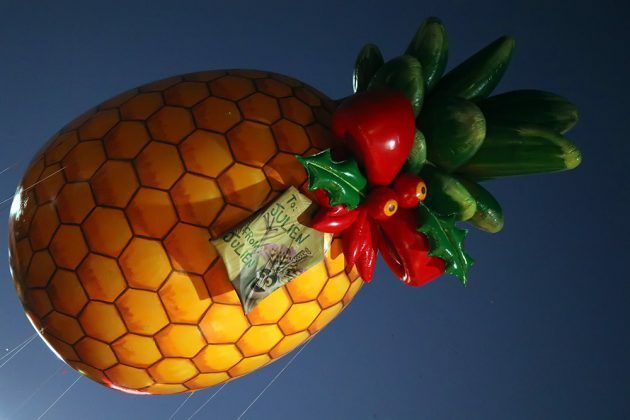 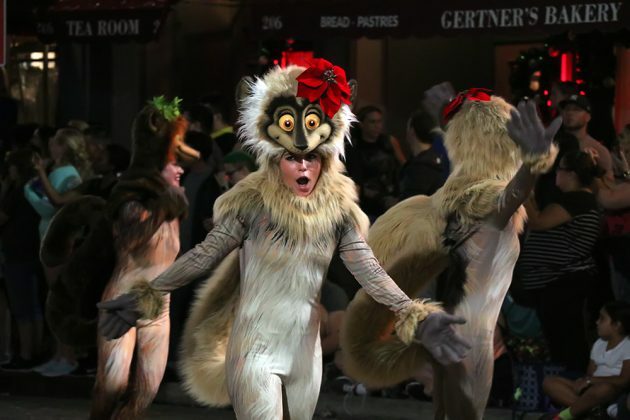 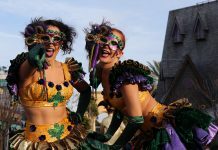 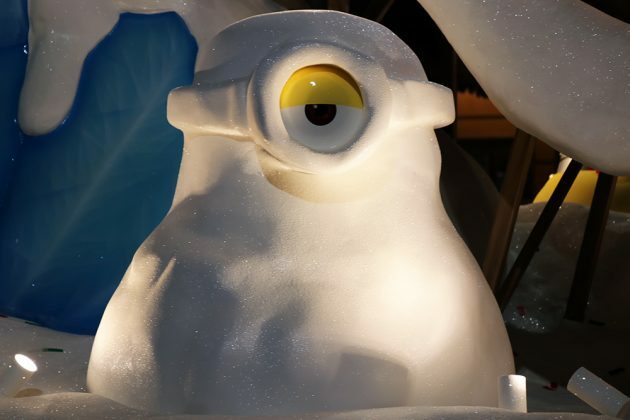 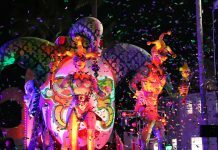 The song is a slower cadence, but does change in tune and tempo – incorporating the score from each film – as each float passes by, which is a nice touch to give the parade some character (no pun intended). 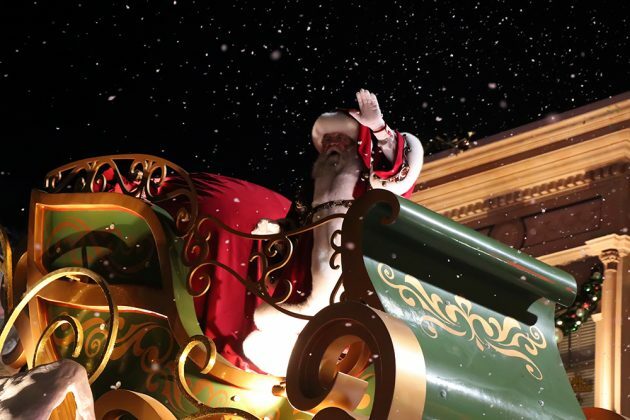 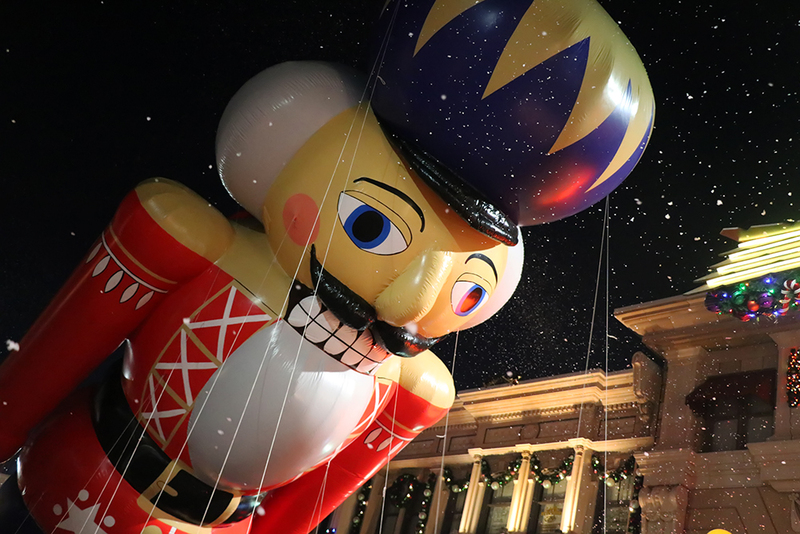 The parade is capped off by none other than the man of the season, himself – Santa Claus, who lights the tree to officially welcome the Christmas season. 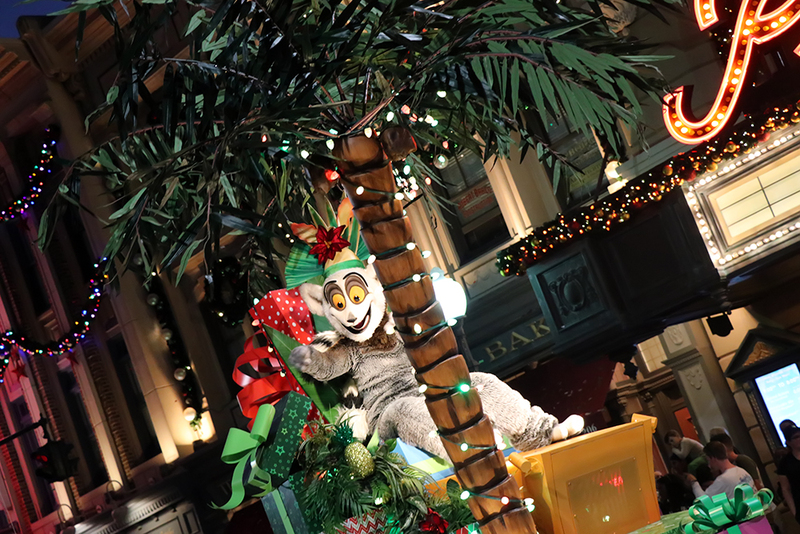 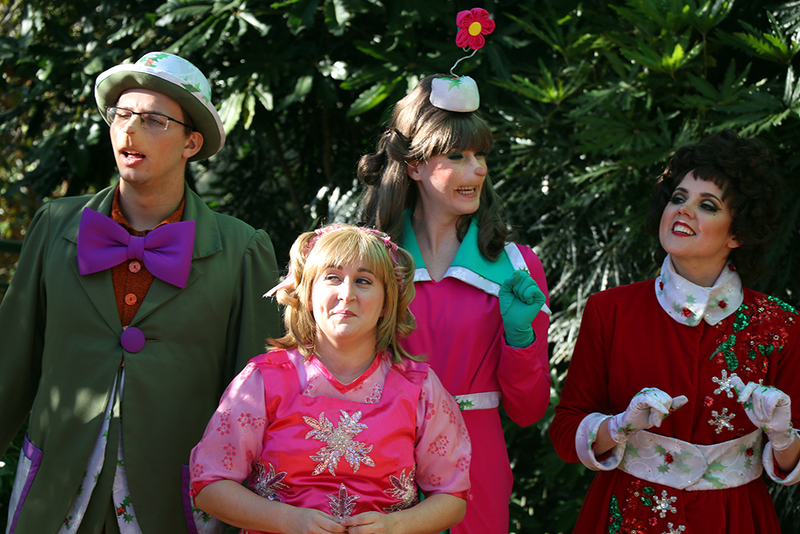 After the parade ends, many of the characters will meet guests around the tree. 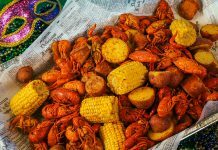 Universal has brought the hammer for this Christmas season, and for it being the first year of these new offerings – they knocked it out of the park. 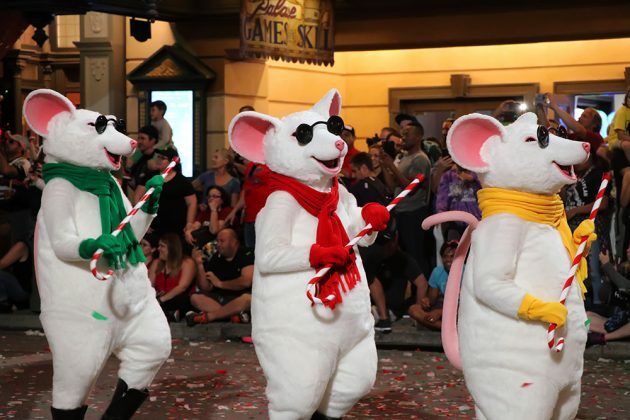 It’s an exciting thing to realize that there is a possibility that they can expand on what they already have for next year. For now, let’s enjoy what we have and celebrate that there is now a reason to make sure to go to Universal Orlando this Holiday season. 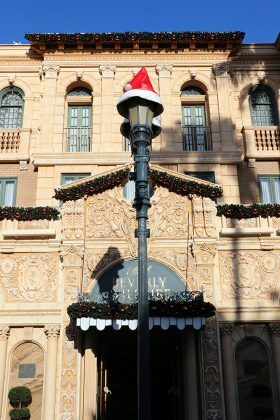 With so much to see, we still haven’t even been able to check out Mannheim Steamroller, the Blues Brothers, or even the decorations around the Resorts. 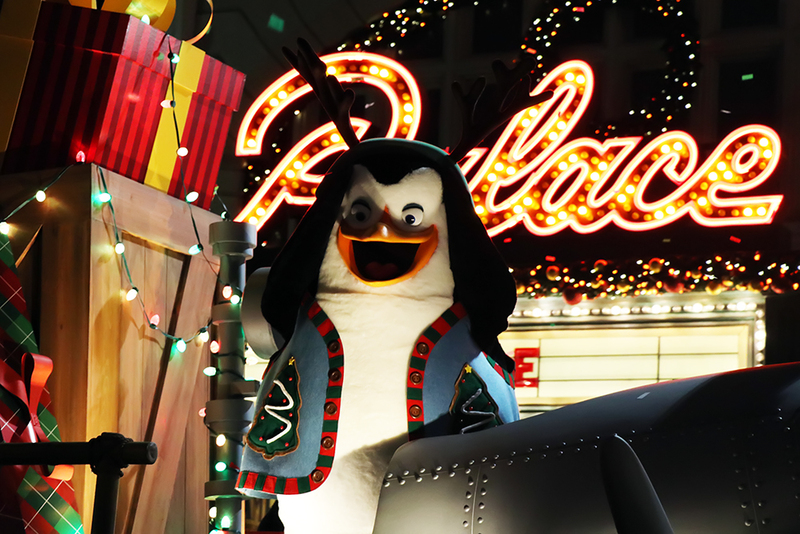 The Holiday experiences will run daily from November 18, 2017 to January 6, 2018. 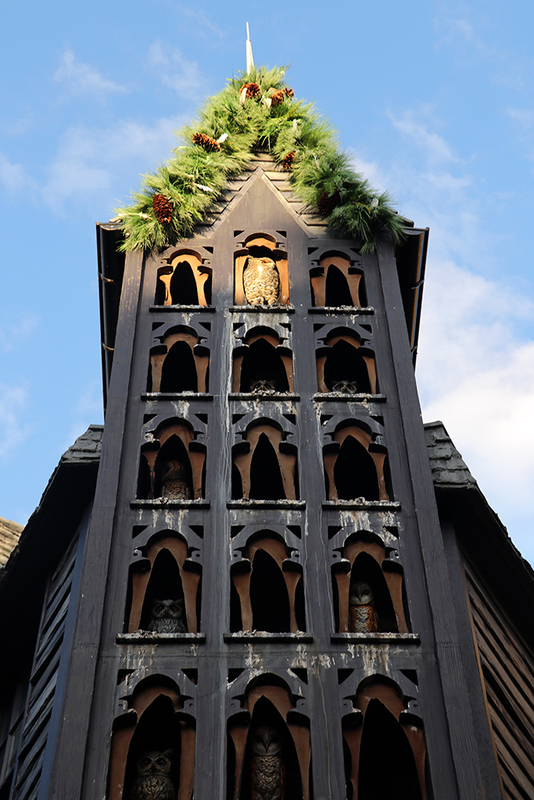 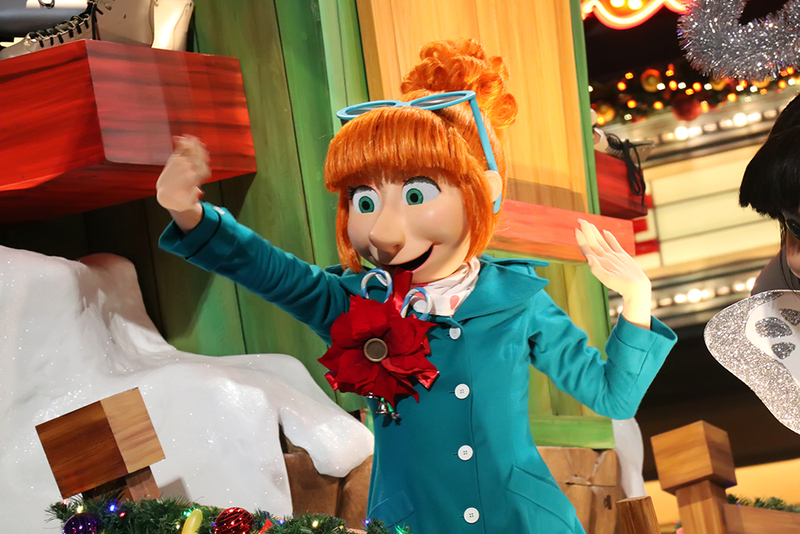 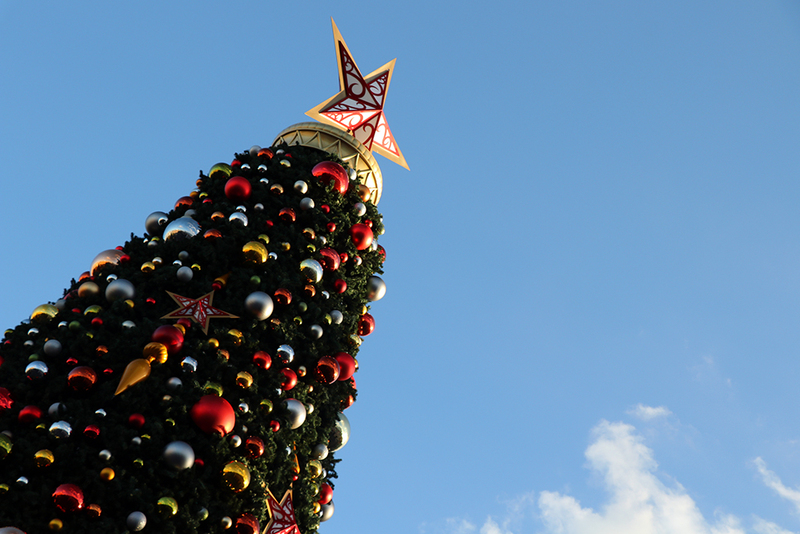 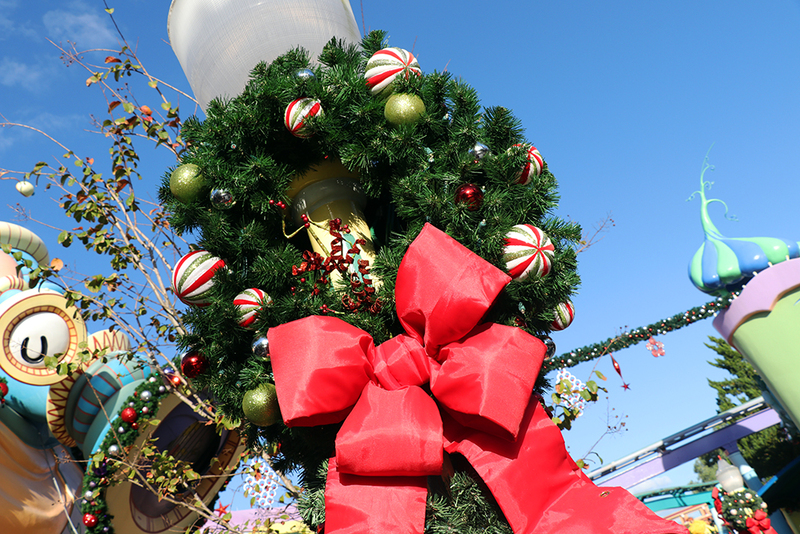 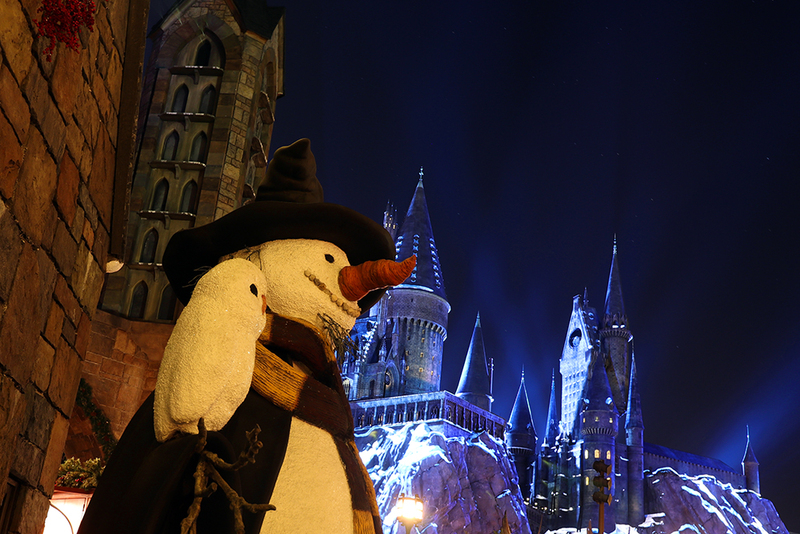 For more videos from the Holidays around Universal, make sure to visit our YouTube channel.